Ultherapy® deposits focused ultrasound energy deep beneath the skin at the optimal temperature for collagen regeneration. The treatment jumpstarts a natural process, neocollagenesis, to produce fresh, new collagen to help the effects of time and gravity on your skin. 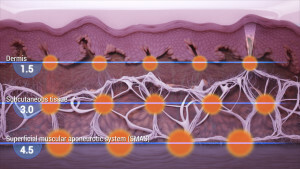 Ultherapy relies on your body's own collagen-building process for natural, noticeable results. The Ultherapy procedure delivers focused ultrasound energy at precise depths and temperatures to initiate neocollagenesis, and without disrupting the surface of the skin. This energy jump-starts the collagen building process to replace old, aging collagen with fresh, new collagen. Neocollagensis occurs when tissues are heated to a threshold temperature, first denaturing weak collagen and then stimulating the growth of new collagen. 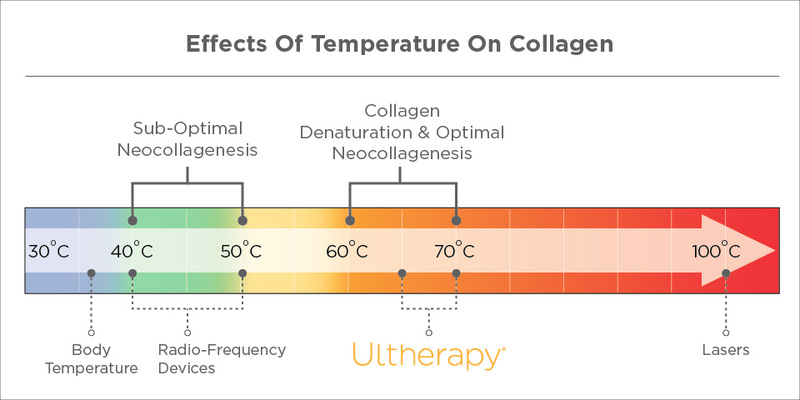 Ultherapy delivers ultrasound energy at precise temperatures to jump-start the neocollagenesis process. Unlike other energy devices, non-surgical Ultherapy bypasses the surface of the skin to deliver a precise amount of ultrasound energy at the right temperature and depths to promote healing. 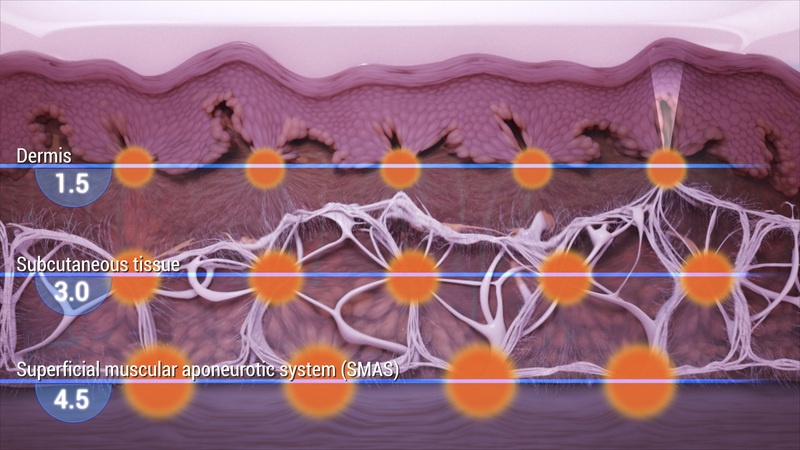 The collagen produced after an Ultherapy treatment is completely your own; no foreign substances are left behind. The result is a natural lift without significant downtime!